If your ABS system is not working or continuously running, or if your brakes are locking up, you may have to replace the anti-lock pressure switch. The ABS system is a safety feature found on virtually all late model vehicles. It is comprised of several components that work together to help slow the car, reduce wheel lock, and prevent tire skid during heavy braking situations and slippery conditions. One of the components of the ABS system is the ABS pressure switch. The ABS pressure switch is responsible for monitoring the pressure of the ABS pump or module, as the ABS system cannot function if the fluid level and pressure is not at a specific minimum. For this reason, when the ABS pressure switch fails or has a problem, it can dramatically affect the operation of the entire ABS system and should therefore be inspected or replaced as soon as possible. Usually, when the ABS pressure switch fails, the vehicle will display a few symptoms that may alert the driver of a potential problem. One of the most obvious symptoms that the ABS pressure switch has failed is a non-functional ABS system. The ABS pressure switch is one of the key components in the cycling behavior of the ABS module, so if it has any problems, it can seriously affect the ABS system. A completely failed ABS pressure switch will not be able to send a signal to activate the pump and the system will not work. Another symptom of a possibly defective pressure switch is a continuously running ABS pump or module. The ABS pressure switch plays a direct role in the on / off cycling of the pump. If it has any problems, it can send a bad or inconsistent signal to the ABS pump and cause it to malfunction. If the ABS pressure switch fails or has a problem, it may cause the pump to continuously cycle on and off unnecessarily. This will cause accelerated wear on the pump, and will eventually cause it to burn out. Brakes locking up and tires skidding during heavy braking and in slippery conditions is another symptom of a possibly defective pressure switch. This will be caused by the ABS pressure switch failing to activate the pump or module. Without a correctly functioning switch to activate the pump, the ABS system will not work and the vehicle will be more susceptible to skidding and tire locking during hard braking situations. 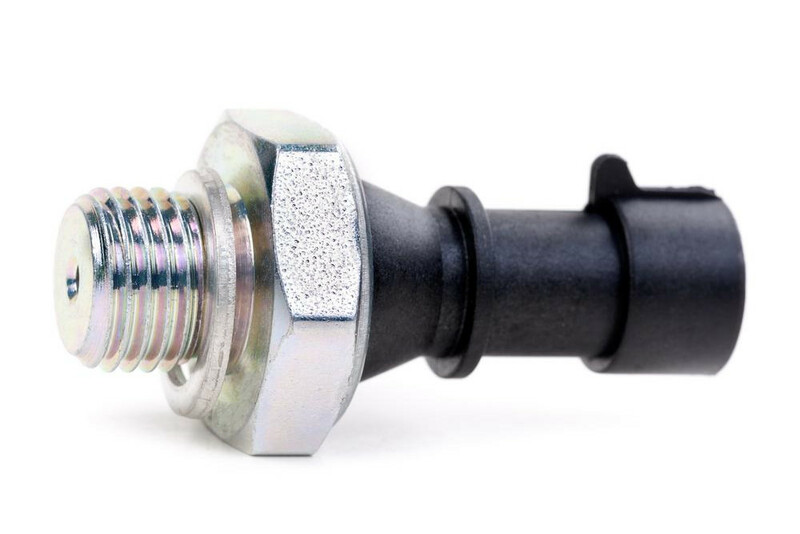 Because the ABS pressure switch plays a direct role in the proper functionality of the ABS system, it is an important component on any vehicle. For this reason, if you suspect that your ABS pressure switch may be having a problem, have a professional technician, such as one from YourMechanic, properly diagnose the vehicle to determine if the anti-lock pressure switch should be replaced, or if another repair should be made. Q: What is a rocker switch and what uses do they have in cars?